THE REINDEER FAMILY HAS BEEN ADOPTED BY THE ROCK SHOW FAMILY!!!! THANK YOU!! The Reindeer Family is made up of a single Mom and 4 kids, one of them with special needs. Mom doesn’t really take time for herself — she puts all of her energy, focus and attention into making things better for her kids. Please help the Reindeer family any way you can – all of your donations are greatly appreciated! 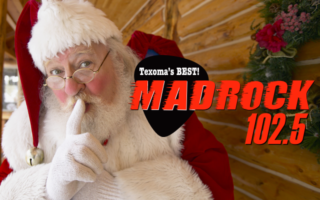 Santa Family – ADOPTED – 2018 Mad Rock “Knight Before Christmas” Toy & Clothing Donation Drive! Snowflake Family – ADOPTED – 2018 Mad Rock “Knight Before Christmas” Toy & Clothing Donation Drive! Candy Cane Family – ADOPTED – 2018 Mad Rock “Knight Before Christmas” Toy & Clothing Donation Drive! Holly Family – ADOPTED – 2018 Mad Rock “Knight Before Christmas” Toy & Clothing Donation Drive! Ivy Family – ADOPTED – 2018 Mad Rock “Knight Before Christmas” Toy & Clothing Donation Drive! Jingle Family – ADOPTED – 2018 Mad Rock “Knight Before Christmas” Toy & Clothing Donation Drive!